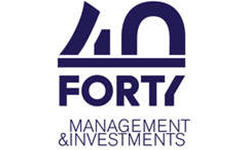 Forty Management and Investments is a real estate developer of residential and commercial projects. Our residential projects are developed under the Central District brand and are all built within the central ring of Bucharest, whilst our commercial projects cover a much larger area throughout the country and come under the name of Trade District. We seek to create places that inspire, projects where vision and thoughtful design add lasting value. This is what turns our promise into a responsibility to never compromise to mediocrity. Forty Management and Investments is constantly seeking to develop new properties with the same responsible and passion driven approach that characterizes our work, whether it is a joint venture or an outright purchase. If you are a landowner interested either in swapping or repurposing your asset, you may contact us via available media on our site.